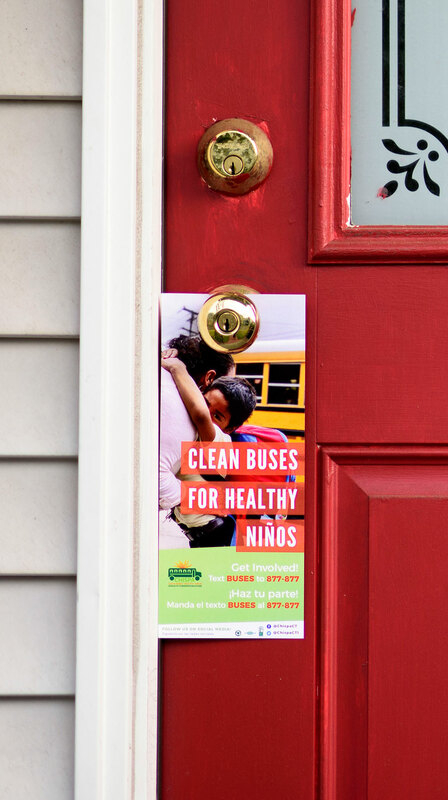 This door hanger is perfect for handing out at your local grocery store, hanging on your neighbors doors, or just to show your friends about the Clean Buses for Healthy Niños. Download and print them to start mobilizing your community! Download these door hangers so you can hand them out in your community and start taking action!